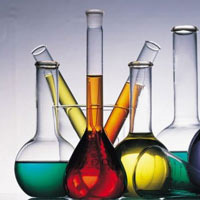 Current scientific interests are centered around the theoretical study of the electronic structure, properties and reactivity of transition element derivatives in organometallic and inorganic molecules and solids, using ab initio and DFT methods, and including the study of reaction mechanisms (determination of transition states), interpretation of spectra (electronic, vibrational, ESR) and inorganic luminescence. Other areas of activity address the design, synthesis, and characterization of molecular solids based on organometallic molybdenum fragments, and the immobilization of molecules in porous solids (one- and two dimensional) in order to obtain efficient catalysts, as well as to develop metal based antitumor drugs. More recently, the range of complexes has been extended to spin crossover systems (iron and manganese) and the materials to nanoparticles, foams, ionic liquids.